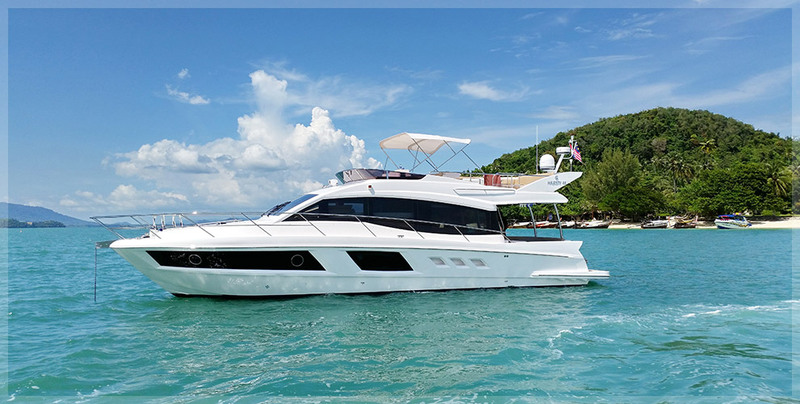 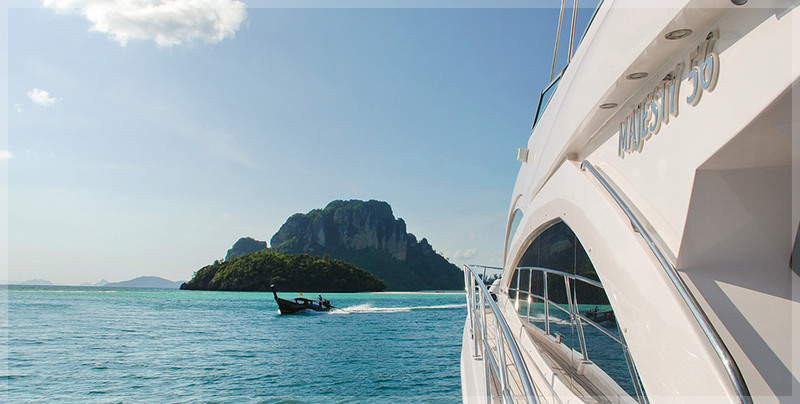 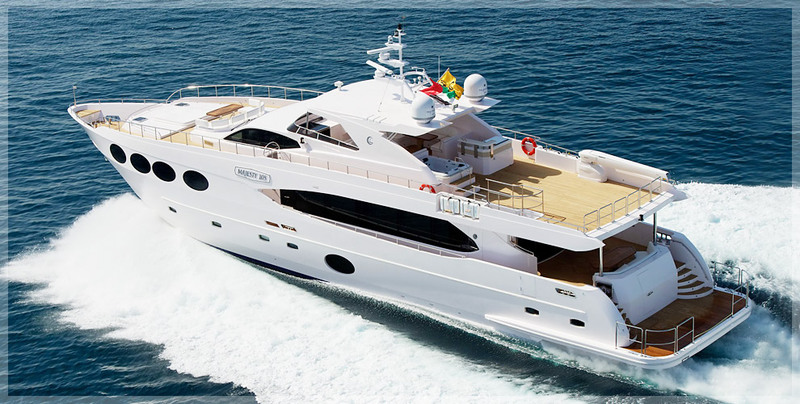 HomeLocal NewsGo Boating Thailand Delivers the first Majesty Yacht to Phuket, Thailand. 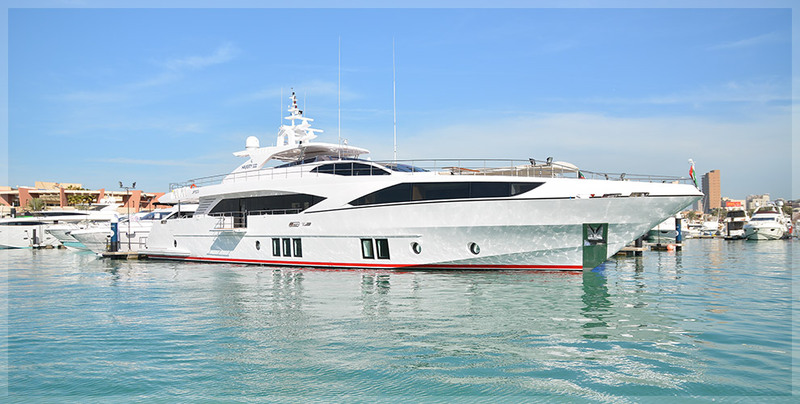 From an order placed in September 2011 the new Majesty 56 arrived via water on her maiden voyage from Singapore during Mid November. 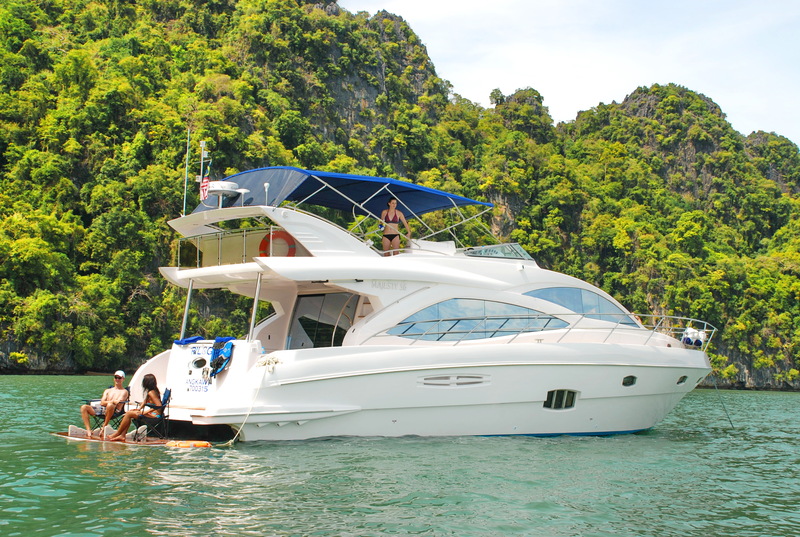 This boat being placed under a shared ownership program was heavily modified to cater for her three owners very different usage styles. 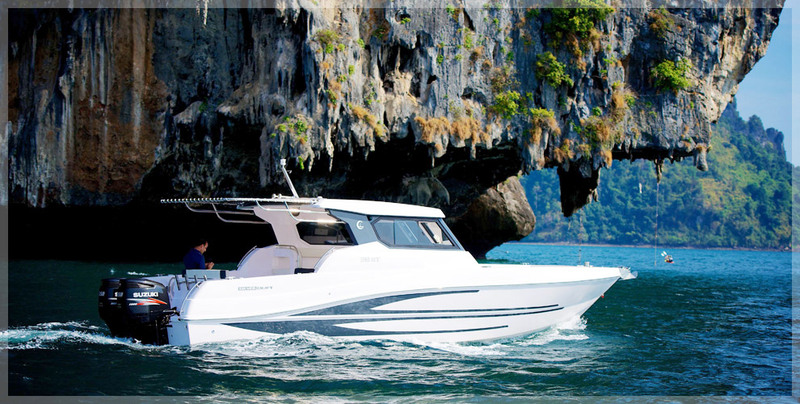 The flybridge layout was modified to add extra seating and lounging areas, plus a larger Bimini shade, and a tenderlift was added to launch and retrieve her Sea Doo Jet ski. 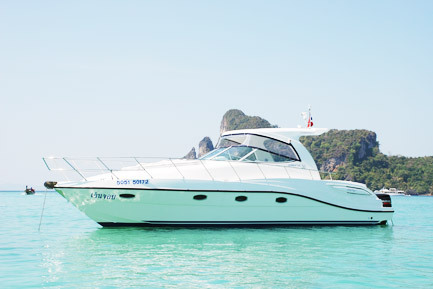 OR 3.4 M RIB. 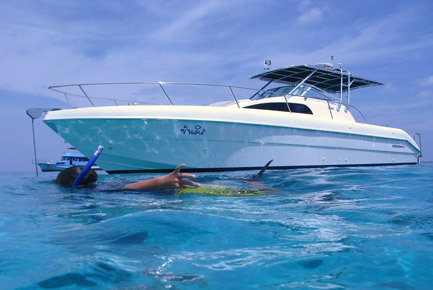 Fishing and diving set ups were added as two of the owners are heavily into diving. 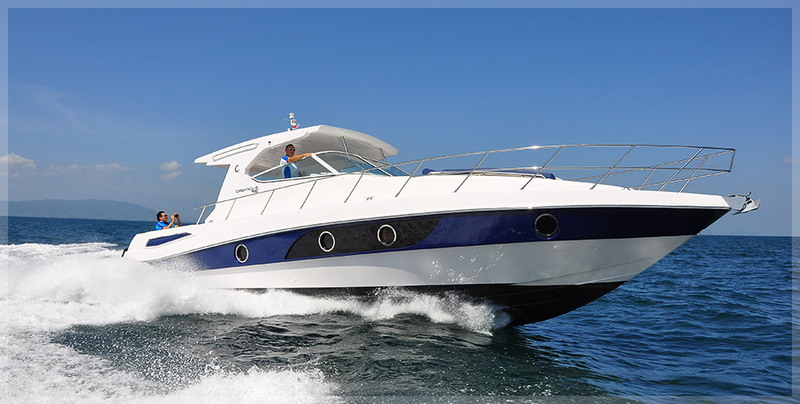 The Tender lift makes for easy boarding with tanks and diving equipment. 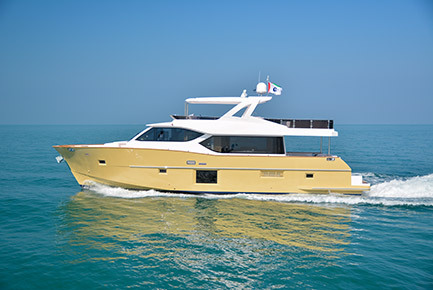 With a 3 cabin 3 heads layout and excellent use of space, this 56ft Majesty feels more like a 63 once aboard. 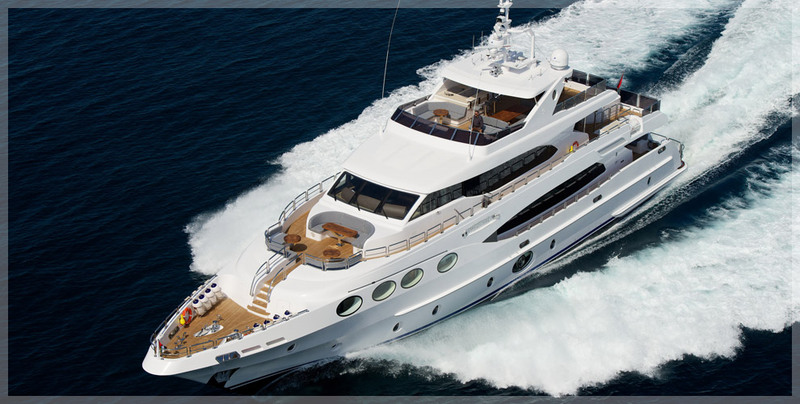 Her crew are catered for very well as there is an aft crew quarters for two with shower and toilet facilities. 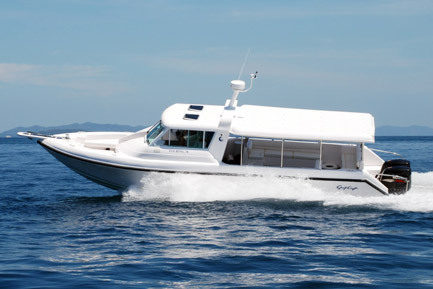 During her first 3 weeks of use through December “TRILOGY” as she is named, clocked up over 115hrs of use. 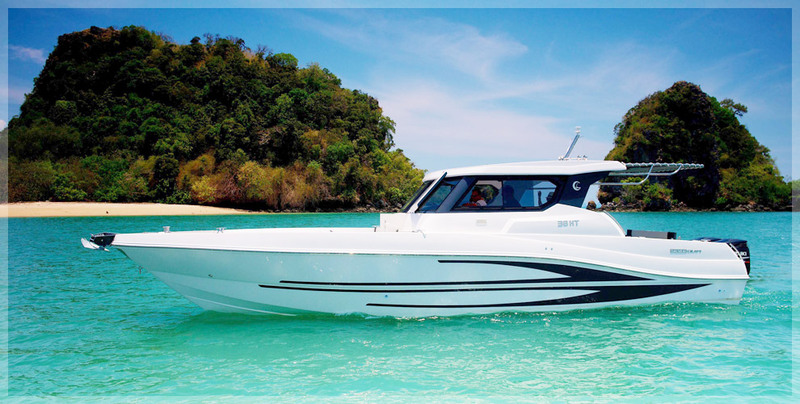 Trips to the Similans, and Koh Lanta have already been undertaken along with the usual more local destinations around Phuket. 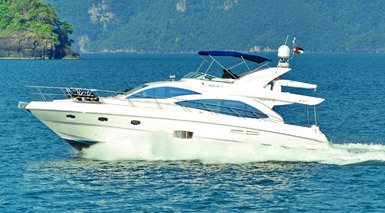 Powered by twin Volvo Penta D12 800’s TRILOGY cruises very happily at 23 knots. 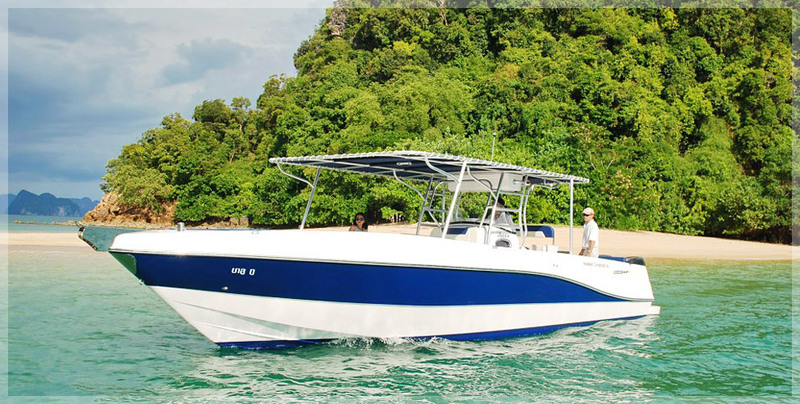 Tropical spec Air conditioning fitted as standard keeps her owners cool and comfortable. 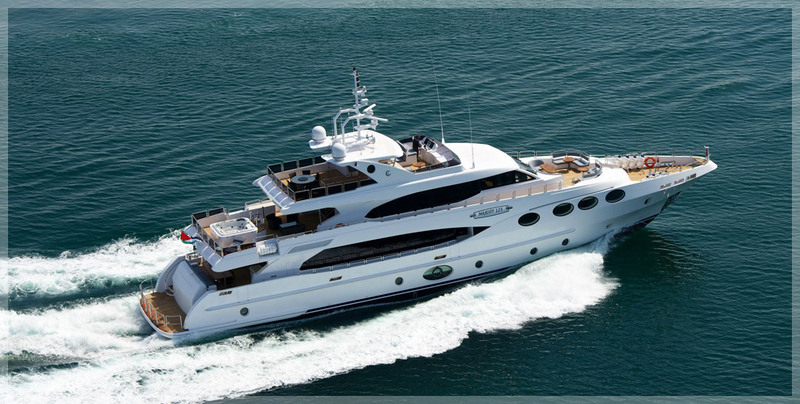 Majesty Yachts are capable of taking on customer special requests, in the way of Main deck, Bridge and lower level custom layout changes. 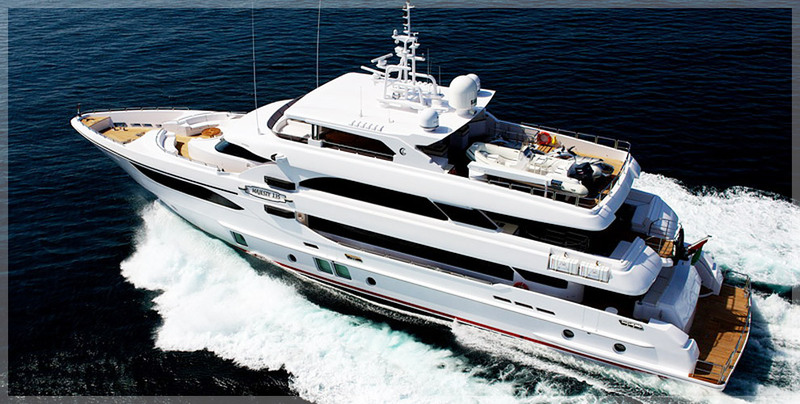 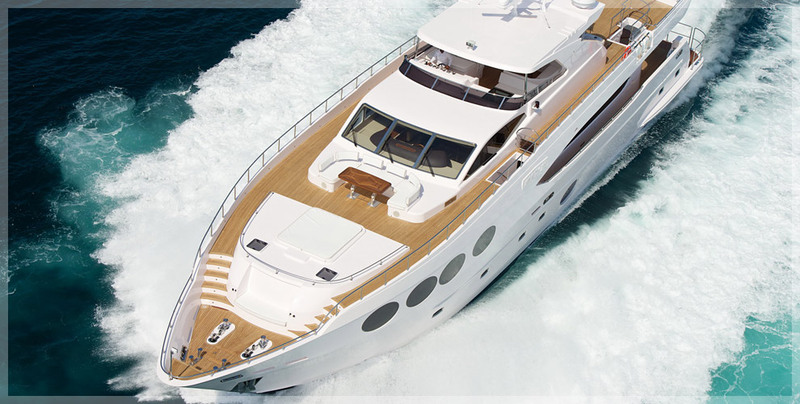 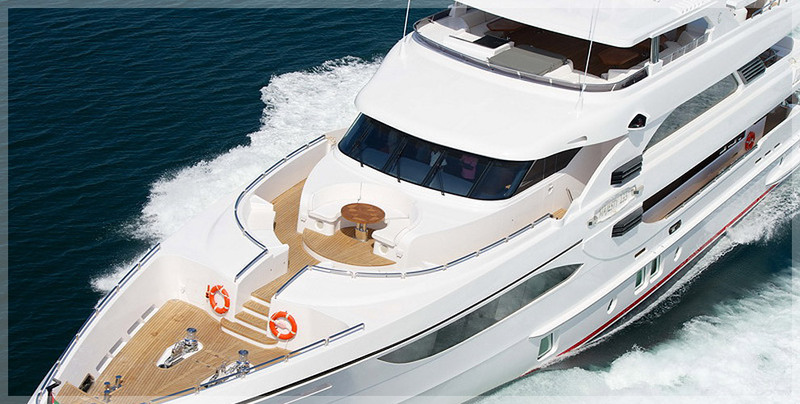 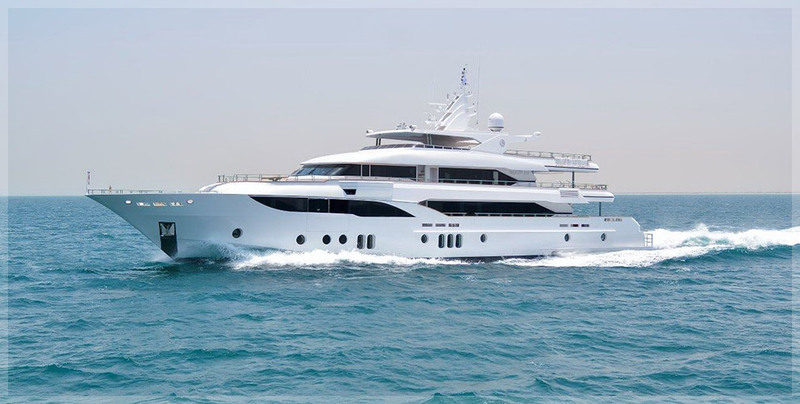 For more information about Gulfcraft and its range of Majesty Yachts. 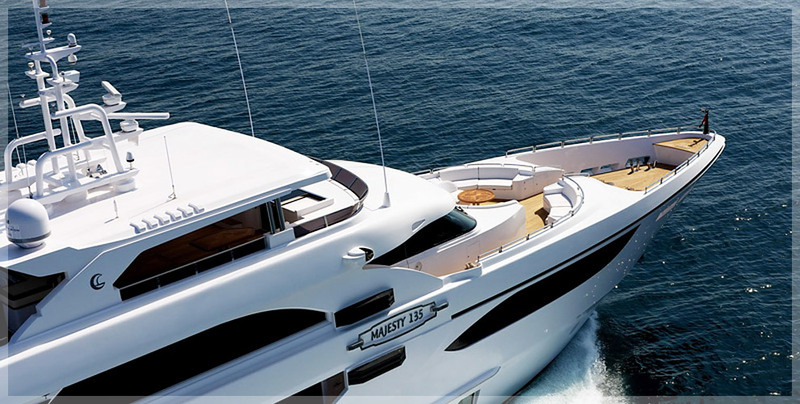 44ft – 135ft please contact. 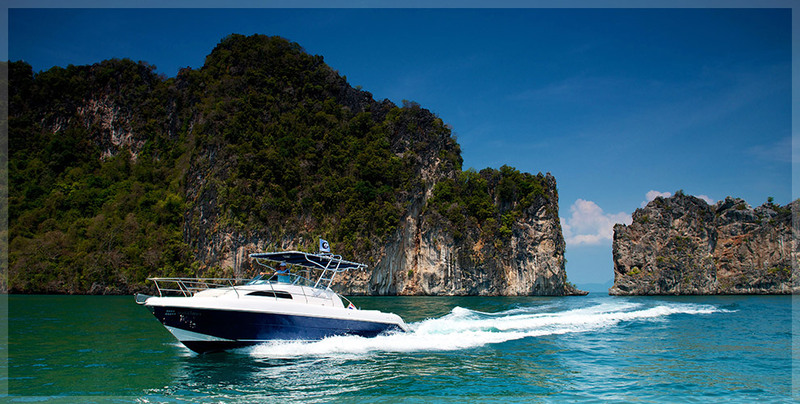 Go Boating Thailand Co Ltd. RPM Marina.Phuket. 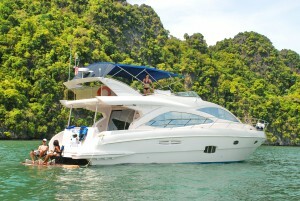 08 705 66301 www.goboatingthailand.com.